The OB23 Orbital tube bender pulls the copper from a bulk spool, straightens it, bends it, and drops off a completely severed part. This machine allows you to increase your profitability through reduced cycle time and labor costs. 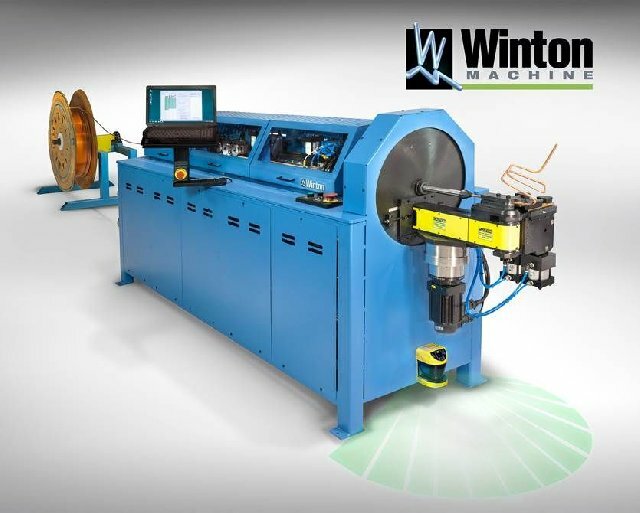 Winton's OB23 Orbital Tube Bender from Winton Machine on Vimeo.